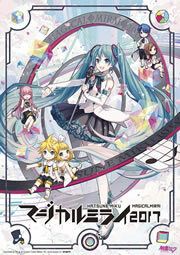 The official Hatsune Miku YouTube channel has just uploaded the official digest videos for the Hatsune Miku: Magical Mirai 2018 exhibition and live concert events in Osaka and Tokyo. Enjoy the exhibition recap and concert videos below! The featured live performance songs are the event’s two theme songs Greenlights Serenade feat. Hatsune Miku by Omoi, and Bring it on! feat. Kagamine Rin & Len by GigaP.